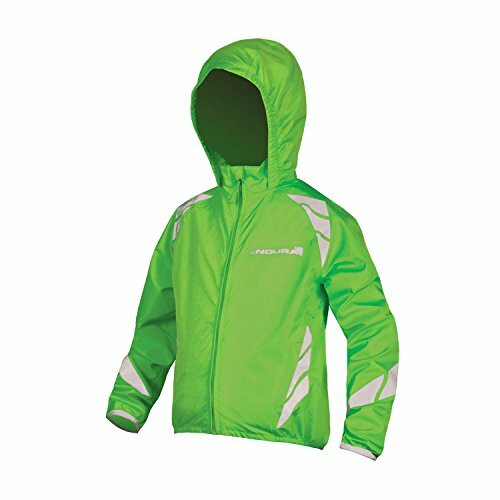 Endura Kids Luminite Cycling Jacket II Hi-viz Green, Small by Endura at Melon City Bike Club. MPN: E7113GV/K7. Hurry! Limited time offer. Offer valid only while supplies last. Junior Safety. Fully seam-sealed compact 2 layer fabric with mesh lining. Emblazoned with high visibility 360 degree reflective safety chevrons.